We are so excited that our beehives have arrived in school! We are expecting the bees to arrive in about two weeks, ready for our 'Bees in School' week. We are incredibly grateful to Sheffield Beekeepers Association for donating the hives to us and to the David And Jane Richards Family Foundation for supporting with all the equipment we need and the purchase of a new shed to store our beekeeping supplies in and (most importantly) the purchase of two colonies of bees to get us started. 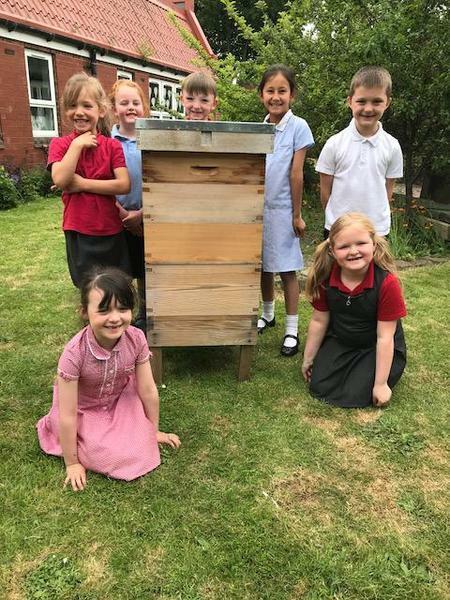 Our pupils are going to get a real chance to help support pollinating insects by studying the ancient practice of beekeeping.